At any of Dr Reeferalz three locations you can expect to find a stress-free, positive environment where patients in need of medical marijuana can receive an expert evaluation by a licensed medical professional at reasonable price. Qualified patients receive a physician’s recommendation allowing them to purchase medical marijuana in the State of Arizona. Their friendly staff understands you may need assistance along the way and are always happy to answer all your questions. If you suffer from cancer, cachexia, AIDS, chronic pain, spasticity, glaucoma, arthritis, migraine or any other illness that is a qualifying condition in Arizona you can easily set-up an appointment today. During the certification process, your physician will discuss with you the benefits and risks of choosing medical marijuana as an alternative therapeutic treatment thus allowing you to make a well-informed decision. 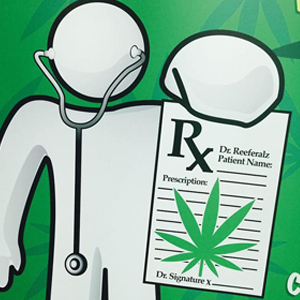 Dr. Reeferalz is proud with their medical expertise, experienced and professional doctors that are well trained in the areas of alternative health treatment and their support staff – you don’t need to worry about anything, because all of them will assist you throughout the entire certification process. During the initial consultation, their licensed physicians will insure that your visit remains comfortable and confidential. Physicians at Dr. Reeferalz are even willing to support you in the event of a legal matter stemming from your medical cannabis recommendation. great services although prices were higher than i was told…the doc is on point, 5 stars for him!